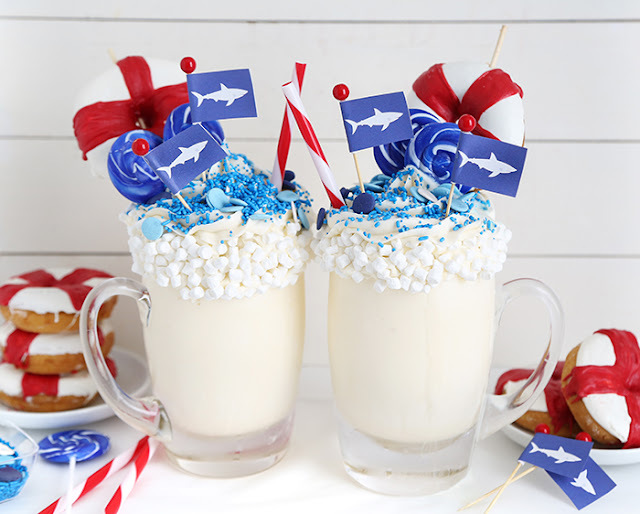 Shark Week began on July 22nd and runs through July 30th, which means we're right smack in the middle of all the festivities! If you follow me on Instagram, you know I've been busy making loads of shark week-themed cupcakes for the folks at Discovery headquarters. Along with all those cupcakes, I delivered this guy, too. He made a big splash (hehe) even though he's more cute than scary. 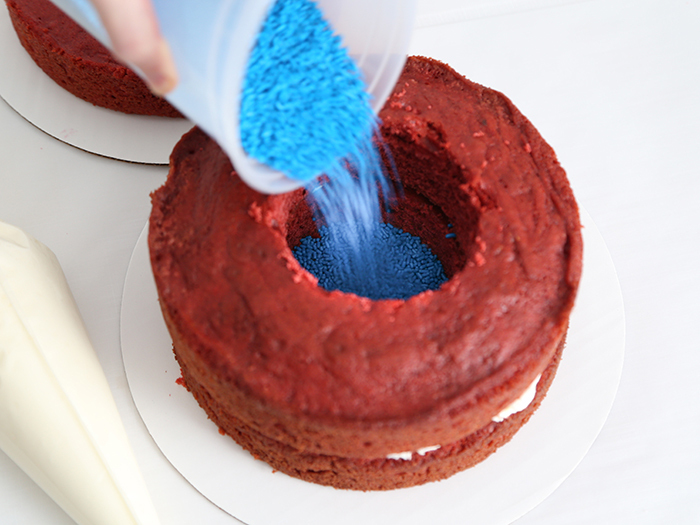 I'm including a few process shots of the cake in this blog post, but to view the entire process - and video tutorial - you'll need to hop over to FoodNetwork.com. That's where the how-to gallery and recipe live. 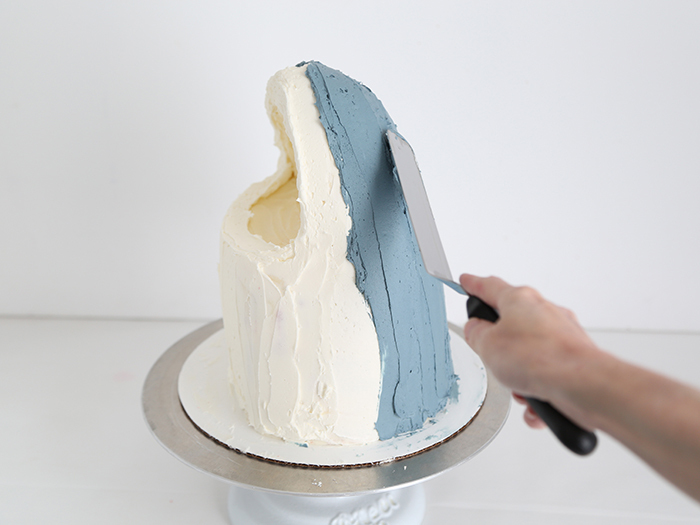 There's already been some really cute versions of this cake popping up on Instagram (such as here and here). A few people at the Discovery party thought the teeth were fondant, but they're white candy wafers cut into pointed teeth with kitchen-dedicated scissors. This cake is ALL buttercream and candy! 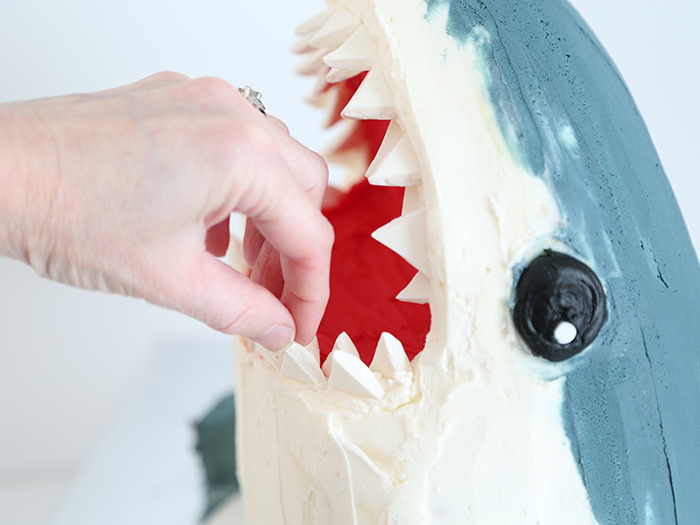 The big reveal is the pinata-style cache of candy spilling from the shark's middle when you cut the cake. The aquarium fish candies I used held up extremely well inside the moist cake. They can be found for purchase here. 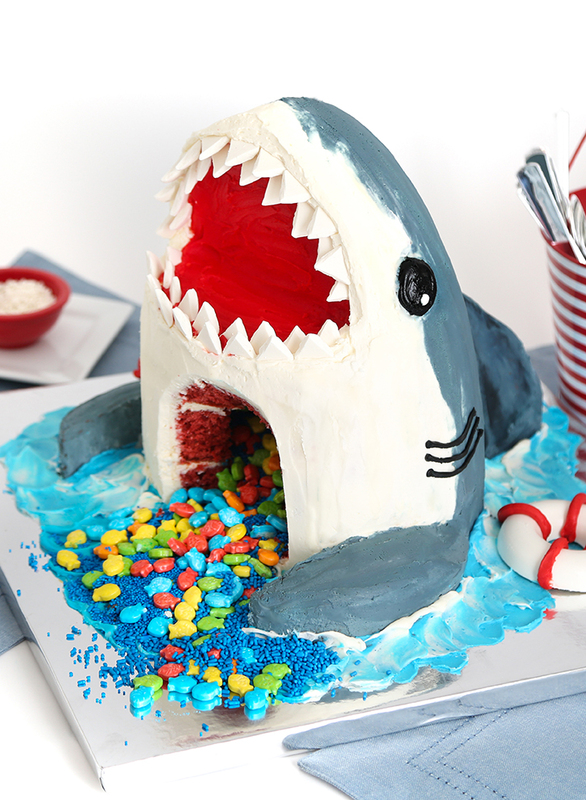 If you're not into making an entire cake for shark week, then check out my gallery of Shark Week-themed bites on HGTV.com! Shark Warning Milkshakes on HGTV.com! As usual, this was an amazing cake!!!!!! Love seeing your creativity! Another awesome cake. Love your creativity. You are so creative and a master baker! So cool. Such a awesome cake!!! 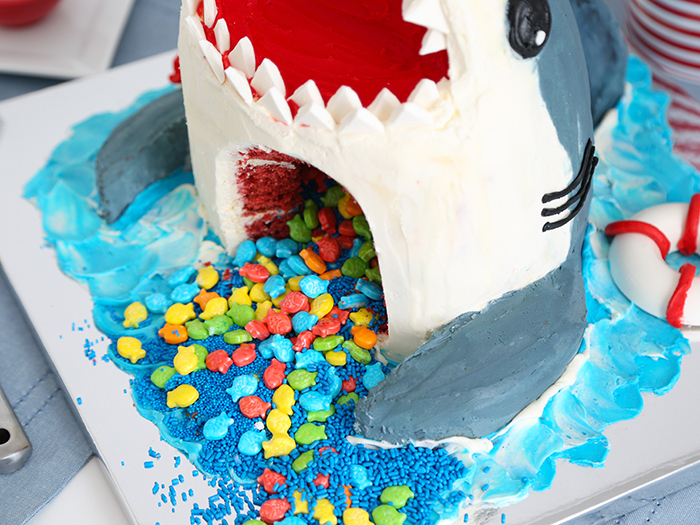 Thanks for sharing with us such a creative shark week cake. It was looking so Amazing. Keep sharing! !